Expectations from Rustom songs were high after listening to the songs of Airlift movie, especially ‘Soch Na Sake’. Having music from veteran artist Atif Aslam, First song of the film is ‘Tere Sang Yara’. The music of the movie is composed by Raghav Sachar, Jeet Ganguli, Ankit Tiwari and Arko. Lyrics are written by Manoj Muntashir, and the production company is Zee Music. Rustom Songs has total time play of 35 minutes and 31 seconds. The film has 10 songs in a total of which 6 songs are unique. Atif Aslam in an Indian Patriotic film sounds interesting. Atif, who has been applauded various times for working as a bridge between India and Pakistan, has done a tremendous job. There was a target in this song to create a sensation like the early, 60s and he has done it perfectly. ‘Rustom Vahi’ is not just a song from the film. This song also describes the whole story as a one phase being the title track of the movie. 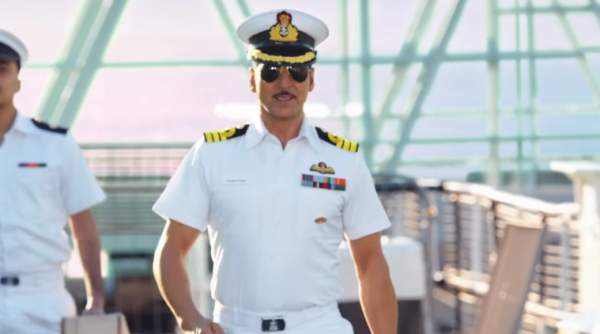 This song conveys a message that Rustom will be the winner who has his plans predefined. Song is crooned by Sukriti Kakkar in a very entertaining manner and composed by Raghav Sachar. The song is not an addiction but perfect to listen with the video. It’s not a general case where romance and Ankit Tiwari can be separated. Akshay Kumar’s films usually have at least one song from the singer. ‘Tay Hai’ appears to be a song from the movie’s timeline, and that was the reason for releasing it without any video. Nothing special was noticed in audio. Arijit makes a perfect magical combination with any female artist. The same thing can be observed in this song, the song resembles post-independence love stories where the couples just love to spend the time together. The one to one by Jeet Gannguli is also a masterpiece. It’s sung with no auto tune or tunes taking over the lyrics. A complete song. Shreya and Ankit always has an interesting tuning. Ankit meets Shreya beat to beat while she makes every superb effort to meet feeling in the lyrics. Although the song is bit slow but could make its way to anyone’s travel songs list. Tere sang yaara is the best and meticulously sung by Atif. He deserves another Filmfare nomination for this. The rest of the songs are mediocre and Dekho Hazaro Dafa is useless. The male singer made it a bit boring.